For the past few months, a number of joint stock banks have continuously increased service charges, including SMS Banking fees, electronic transaction fees and interbank charges. In their latest attempt to curb uncontrolled fee hikes, SBV was quoted by a number of sources on Wednesday as having issued a decision prohibiting commercial banks from raising such charges. Said resolve is believed to be compensating for unreasonable increases in banking charges at well-known banks such as Agribank, VietinBank, and Vietcombank since the beginning of this year. Representatives from these banks also confirmed they had received the SBV’s instructions and would devise a concerete plan to stop raising handling charges immediately. Agribank is set to increase cardholders’ withdrawal fees at the bank’s ATMs to 1,650 VND (US$0.07) from the previous 1,100 VND starting May 12. VietinBank also announced a similar fee increase since May 5, with Vietcombank following suit on May 16. Vietcombank also increased mobile banking charges from 8,800 VND to 11,000 VND per month since March 1. 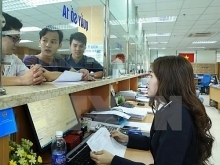 Dao Minh Tuan, Chairman of the Vietnam Bank Card Association, said that the hikes in banks’ service fees were "in accordance with international practice" and "justified" to cover expenses necessary for the upkeep of ATMs. 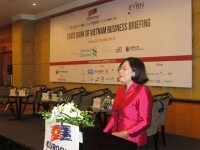 Speaking at a recent banking conference organised by SBV, Tuan said that the current estimated 7,000 to 10,000 VND transaction cost enforced by numerous commercial banks across the country was reasonable, as it included all the necessary costs from ATM maintenance to service, which he considered “inevitable”. The increase in service fees was part of the banks’ overall plan to expand non-interest income, besides regular credit loans, in the context of controlled credit growth rates via SBV’s imposed quota of less than 20 percent annually, as opposed to banks’ average growth of 30 to 40 percent in 2018, Tuan added. At the moment, banking charges are set under the SBV’s Circular 35. Accordingly, the maximum charge for cardholders per debit transaction is 3,000 VND for domestic debit cards from 2015 onwards. This is seen as the ceiling price for most banks’ charges, which so far has yet been breached. Nonetheless, commercial banks should focus on other services to offset losses, rather than increasing ATM charges, said Tuan. Remaining banks such as ACB, VIB, Techcombank, or VPBank still maintain a free-of-charge money transfer between accounts at the same bank, with Techcombank going as far as keeping interbank transactions free as well. On another note, the National Payment Corporation of Vietnam (NAPAS) announced in January an adjustment plan to reduce domestic interbank transaction fees under the SBV’s Directive No. 01. 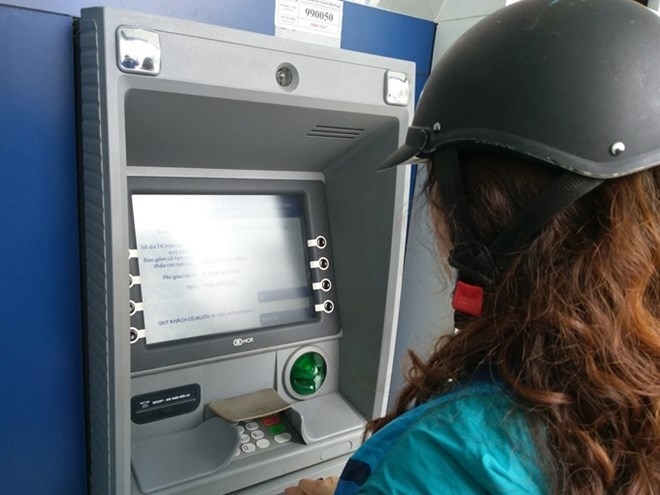 Accordingly, for cash withdrawals at ATMs, NAPAS will aim for a fee reduction starting March 1, with a maximum reduction of 150 VND per transaction, and it will not collect ATM service fees from banks as of March 1, 2021.